Gerber RS247X as accepted signal file? Strange behavior, or did I do it wrong? I had the same problem the other day. Just a quick wild guess, try deselecting “pos. 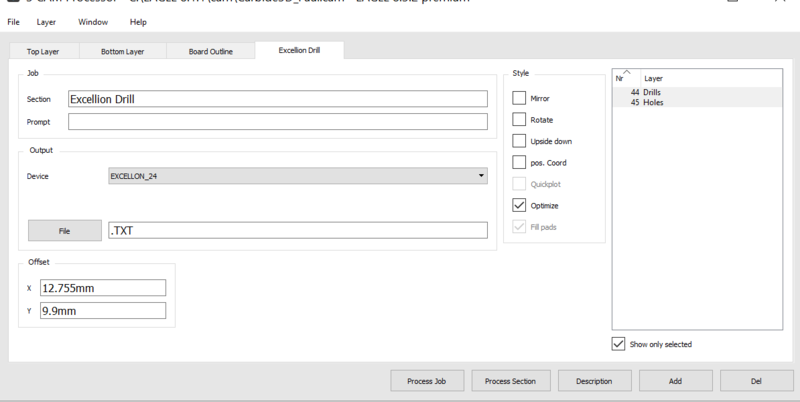 Coord” in “Style” and select “EXCELLION _24” as the output Device in Eagle using Carbide3d CAM processor. If that works, save that as your updated Cam processor. It worked, thank you ! or break your bits. Just finished an Arduino programming shield board. Yes I did edit the nc file to workaround the bug. I also split the generated file in three separate files (copper/drills/profile cut) to run them separately. The bug is pretty severe and should be fixed I think, but is easy enough to circumvent and I still enjoyed using carbide copper, it has potential. may I ask what tool / RPM / number of passes you used for this one ? I use the Dewalt 611 at setting 1= 16200 rpm. Using a V-bit 0.1mm 30 degree I did 7 runs . cooper does not let you control the depth or feed rate but when you look at the code it goes 0.5 into the material that is deep. I used to use Makercam and would only go 0.04 basically only scratch off the cooper. The problem is you have to have a super flat and level carve bed. Because of the V i like to make my traces as fat as I can as you go down it eats move copper on the upside of the V… I just order a few more v bits at 0.2 and a few different Degrees. I love not to use Chemicals anymore. I think Carbite may stop development of copper as this bug has not been fixed. Not lifting the spindle at startup is a major problem. How many people do what we do and edit the code manually to use a program. I used the other program that is part of the copper page and it is very nice but the code does not work with Carbite motion. I believe it is only for the Nomad. 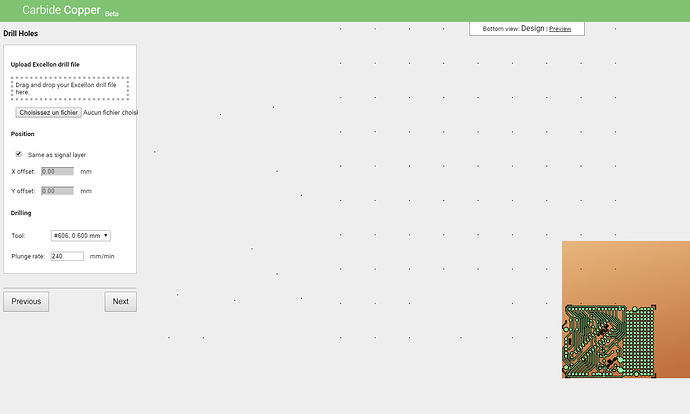 what I liked was that is separates all tool paths into separate files and has more control over speed and feed. Thanks for the information Tobias. What is this “other program that is part of the copper page” you are referring to? 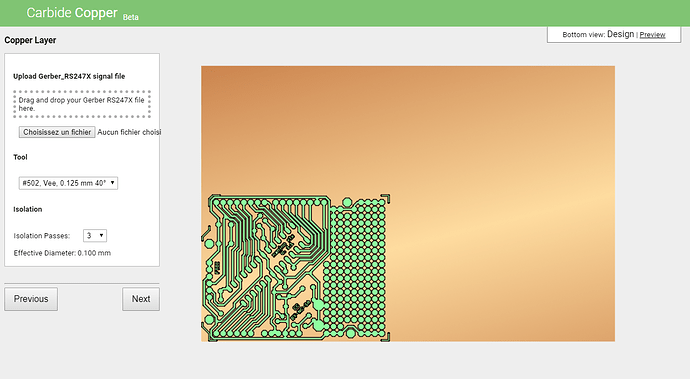 http://carbide3d.com/apps/rapidpcb/ it is rapidpcb. I used it, entered all my data and it spit out nice separated files for each tool run. but there is some code in the beginning Cabite Motion did not like and it stops, telling you incompatible code. I will try and edit it and see if it is possible. Carbite 3 D bought the program from a 3th party and I think or hope it will become usable for all machines. 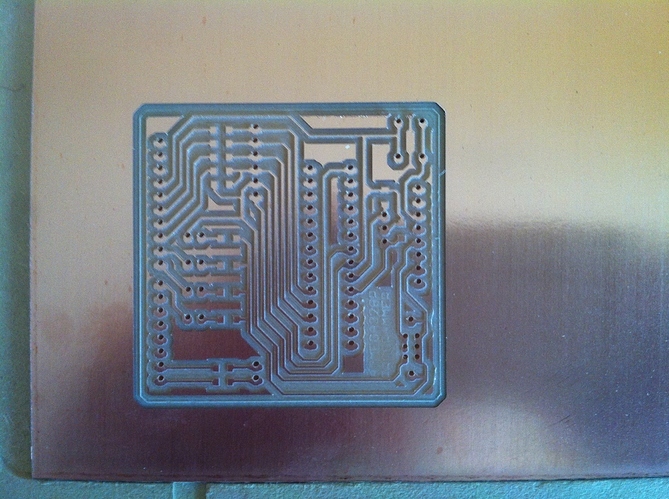 We bought Rapid-PCB and then modified it to create Carbide Copper. You can use either, I don’t see us taking down Rapid-PCB so it’ll be there if you want it. Regarding future development, We’re a small team and we bounce from product to product. Early this year we did Carbide Motion 4, then Carbide Copper, then a big push on Carbide Create, now we’re back on a big update to Carbide Motion. Once we’re done with the current CM update, we’ll circle back to Carbide Copper for more updates. Just out of curiosity, has the team considered open sourcing parts of the code ? Might help kill a few simple bugs faster (not that I am complaining, I think you guys are delivering incredible value versus team size already). Thanks Rob for the update. I understand, I did spend 6 years in software development. Can you suggest what code to remove from the Rapid-PCB so we can use it in Carbite Motion on our Shapeokos? I tryed it but got and incompatibility error from CMotion. I have not played with it just use Copper, and it works fine but not raising the Z axis at start up is a pain, and we shapeoko guys need our tool path separated so we can change tools aka Drills. I use Brackets to do my text edits and separating the code. I am just thinking of people that do not want to play with the G-Code. @Julien - We’ve talked about making it more open but it’s a bug philosophical change and that’s not something we’re ready for. 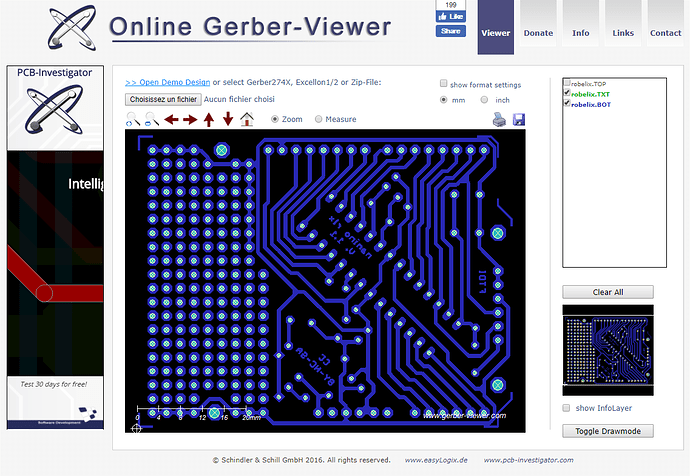 @KZcreations - I forget what we had to remove from Rapid-PCB to make it work with GRBL. I think it should give you a line error but if not, it’s definitely something in the header. Longer term, we’re working on a change to handle the Shapeoko and multiple tools right now. 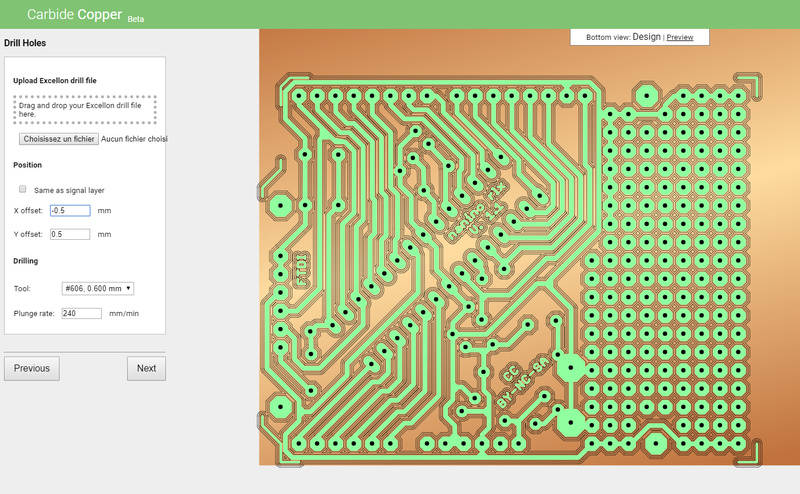 We really didn’t expect a lot of SO users to be making PCB’s. We were obviously wrong. For the inspiration of the Programming team. All Parts have been made with Copper , Create, Motion. MY Arduino Programming shield.